Never underestimate the effects that your front porch brings. After all, it gives visitors and passers-by a glimpse as to how your home really is. And of course, we always want to give a good impression. Fortunately, tweaking and designing your front porch won’t be a major, expensive home improvement project. There are actually affordable and effective ways to make this part of your home as beautiful and as enticing as it should be. Changing the paint of your front door can have a huge effect not only on your porch, but on your home as well. If possible, use “popping” colours, preferably those that will provide some contrast for your house. This will make it look more elegant and a lot more interesting as well. Since porches don’t really have that much floor space, you can opt to use your ceiling and walls instead. Use beautiful decorations to add more flair to the area, as well some curtains to keep lighting as efficient as possible. 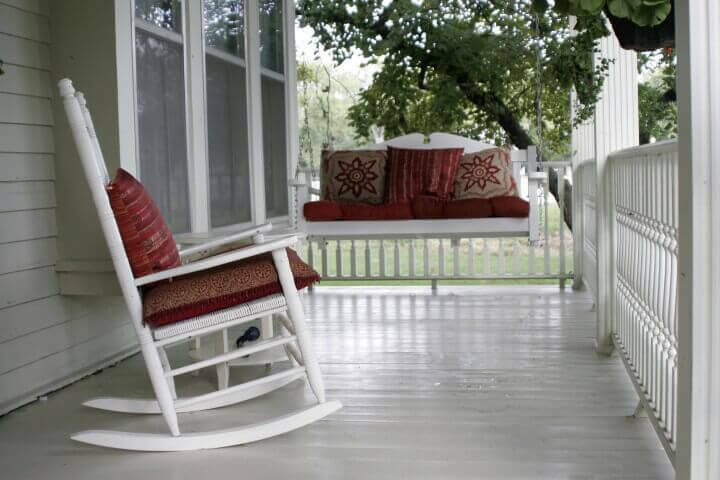 If your porch has sufficient space, you can use additional pieces of furniture to make it more relaxing. Invest in a loveseat that can hold two or more people, a coffee table or other appropriate furniture pieces. Remember: be smart and creative, and everything will fall into place. Hanging paintings and artworks can bring your porch some added aesthetic effects. In fact, these can give your porch a much different look, depending on the type of accessories that you opt to use. You can also use a stylish outdoor rug to welcome visitors and to give the area a more welcoming atmosphere. Take note: make sure that your artwork and accessories are designed for outdoor use. These are usually made of special coatings that can withstand outdoor conditions, ranging from the harsh heat of the sun, rain, snow and other elements. Of course, you have to make sure that they’ll look good too. Do you want to know more? Call a garage expert from Perth and dial 1300 778 628.